When can my child ride on my motorcycle with me? In Tennessee, riders can begin learning to drive a motorcycle at the age of sixteen. Special permits can be awarded to eager fifteen-year-olds as well. However, there is no age minimum to be a passenger on a licensed rider’s motorcycle. Seats. When passengers are involved, the motorcycle must have a permanent two-person seat, a permanent additional rear seat, or an attachable sidecar. Position. When passengers are present, all seats must be positioned to face forward, and all riders must face forward with one leg on either side of the motorcycle. View. Passengers, no matter their age, must not be situated in such a way that distracts the operator or obstructs his view. Helmet. Tennessee law requires all riders and passengers to wear helmets, no matter age, experience, or circumstance. Height. Though state law doesn’t mandate an age requirement, it does specify a height requirement. 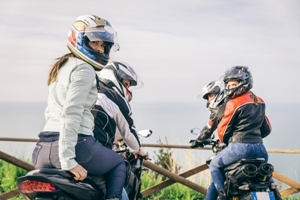 A child under the age of sixteen is allowed to ride as a passenger provided his feet can comfortably reach the motorcycle’s footpegs/footrests. The only exception to this rule is when the child is riding in a sidecar, where footrests are not mandated. Violation of any of these requirements, by operator or passenger, can result in a Class C misdemeanor, and result in fines and potential license suspension. Did you find this article interesting and informative? If so, please, share this article with your motorcycle enthusiast friends and family via Facebook. For answers to any questions or concerns you may have about the discussed material, leave us a message or comment on your link as you share. When you “like” our page, you’ll also receive periodic updates and tips regarding motorcycle safety and personal injury claim options. One of the first questions a lawyer is asked by a motorcycle accident victim is, “How much is my case worth?” This is a legitimate question. After all, no one wants to put the time, effort, and anxiety into pursuing a case when the outcome is going to be less than a week’s wages. However, when you ask a lawyer this question, his answer will ultimately give you insight into whether or not he’s a reliable attorney. In fact, it doesn’t matter how much he may say, if he gives you any monetary value, the thing to do is to walk away. Why? Because he’s promising you something that he may not be able to deliver. The truth of the matter is, when it comes to personal injury claims, there is no set amount of money that any lawyer can promise. Therefore, when you ask an attorney how much your claim is worth, the only truthful answer he can give is an average of his past cases that may have been similar to yours. However, without knowing all the facts of your case, there’s no way to even speculate how much of a settlement your particular case may be awarded. Injury severity. When pursuing an injury claim, the main focus of the claim should be to compensate you for the medical costs associated with your injuries. If your injuries are minor and required little treatment, your settlement will be smaller than if your injuries were severe. Liability. Tennessee is a modified-comparative negligence state. Therefore, the percentage of fault is important to determine how much compensation you’re entitled to. Depending on how the judge or jury determines fault, you may be awarded 100% of the designated settlement amount, or you could be found liable for your own injuries and awarded zero percent of the settlement. Pain and suffering. In addition to physical injuries, a motorcycle accident claim can also factor in emotional stress and quality of life damages. 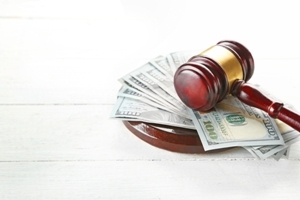 Although difficult to prove and hard to categorize for monetary value, these damages can range from hundreds of dollars to thousands of dollars depending on their outcome. Recovery expenses. The easiest calculation for part of your settlement deals with your recovery expenses. These expenses include hospital bills, necessary physical therapy expenses, and any long-term care that may be required. Since these expenses have an actual price tag, they can be added up to create a good starting point for determining your case’s overall worth. Recovery losses. Recovery losses refer to monetary, emotional, and life-altering damages that resulted as a direct consequence of your injuries. For example, lost wages for not being able to work, or lost relationships due to mood swings brought on by accident-related post-traumatic stress disorder. If you have questions or concerns about whether you should pursue an injury claim, don’t allow yourself to be taken in by a lie or exaggeration. The last thing you need is to have an attorney promise you something he can’t deliver. Contact our Motorcycle accident lawyers in Franklin to see how we value you more than the prospect of your business. We want to secure the best settlement for your claim, but we won’t manipulate you with ridiculous expectations just to secure a commission. You and your claim are worth more than that. Call us today to schedule your FREE case review and see how we can help you build a strong and viable claim. 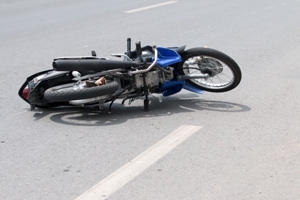 What if I was partially at fault for my motorcycle accident? Your eligibility for motorcycle accident compensation depends on the state you live in. 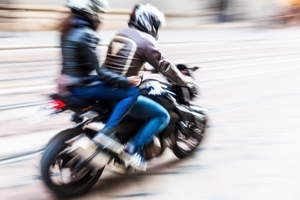 In some states, riders are bound by the system of contributory negligence, and cannot get any recovery for an accident if they were even 1% responsible. Tennessee used to be one of these states, but in 1992 we abandoned contributory negligence in favor of a comparative fault system, which allows riders and drivers to recover damages based on their percentage of blame for the crash. Tennessee’s modified comparative fault system allows a person to recover damages as long as they are less at fault than the opposing party. As long as you are less than 50% to blame, you may still pursue a case against the other party. The amount of money you are awarded will likely be limited if you are partly to blame, but as motorcycle accidents may have damages in the hundreds of thousands of dollars, partial compensation can still make a big difference in your recovery. Proving fault can be difficult in the aftermath of a crash. Many victims are not sure who was more at fault, while others may have made mistakes at the scene that make it seem as if they are to blame. The percentage of blame in all accident cases will be assigned by the jury in the case, and it will all depend on the evidence. The police report. Documents from reputable third parties are usually given more weight in court than the opinions of the people involved. The account from the officers, medical responders, and witnesses on the scene can show the jury the aftermath of the crash from law enforcement’s point of view. Medical evidence. Reports and medical records show the extent of a victim’s injuries, including the surgeries he or she had to go through and the expected recovery times and losses the victim sustained. Expert testimony. Your attorney may request the testimony of medical experts to demonstrate the extent of your physical limitations after the crash and hire crash reconstruction experts to walk the jury through the crash as it happened. Our experienced motorcycle accident attorneys can help collect and develop the facts of your case, getting you proper compensation for your injuries. To schedule a free, no-obligation consultation, please contact our injury law firm today. A neighbor’s dog bit me and caused several serious injuries. How much can I expect from a settlement if I sue the owner? No matter the cause of your personal injury, whether it be a dog bite, car accident, or slip and fall, no decent lawyer can tell you how much your claim is worth just by looking at you. If an attorney tries to guarantee that you’ll receive a specific amount, you should probably find another attorney. The thing is, it’s impossible even to estimate a potential settlement amount without discussing, calculating, and investigating all aspects of your claim. No two attacks are the same, no two injuries require the same treatment, and no two recoveries have the same price tag. Therefore, there is no spreadsheet that can reasonably show how much your individual case may be worth, if you decide to pursue it. However, just because there isn’t a magic number, doesn’t mean you and your lawyer can’t work on assigning monetary values to worthy aspects of your claim. Property damage repair expenses. Did the attack cause permanent damage or injury to your property? If so, a list of the damaged items can be entered as legitimate injury losses. It’s important to note that pets are considered “property” when it comes to injury claims. Therefore, if the aggressive dog injured your dog or another animal in your care, you can demand compensation for vet bills. Physical injury expenses. Essentially, the more severe your injuries, the higher the settlement you should get. However, you must be able to provide complete medical documentation of your injuries, including severity, diagnoses, treatment options, recovery estimates, and long term effects. Treatment bills should also be included to verify the overall cost of your injuries. These reports can not only persuade a jury of how much you suffered but also how much the incident has cost you, physically as well as financially. Psychological trauma expenses. In many dog bite cases, physical injuries aren’t the only effects of the attacks. Permanent wounds, especially those sustained to the face and arms, can cause psychological scarring akin to post-traumatic stress disorder. The visual reminders of the attack can cause continuous anxiety while traumatic scarring and deformities can affect the victim’s sense of self. To overcome this emotional fallout, victims may require extensive therapy and expensive psychological treatment. These aspects of your case are the foundation for seeking financial compensation. However, although you must file your claim within a year of the attack, a settlement can’t be calculated until after your recovery, even if that recovery takes longer than 365 days. Why? Because the complete cost of your attack should not be estimated or shortchanged. If a settlement was made during your recovery, the liable owner’s insurance company may only agree to pay for current treatment and damages. If you accept the settlement but your wounds worsen, become infected, or cause long term disabilities, you’ll have to pay those expenses out of pocket. Don't get swindled by the insurance company, or taken around the block by an inexperienced lawyer—Contact GriffithLaw today to speak with a knowledgeable, trustworthy, and competent dog bite attorney. What should I do if I have been bitten by a dog in Tennessee? Can the owner’s landlord be held accountable when a dog bites me on his property? 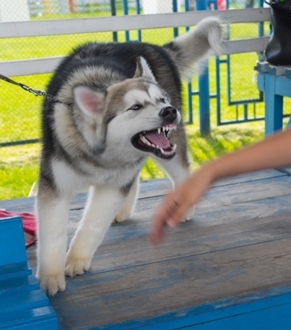 When an aggressive dog attacks you in a public area, the owner of that dog can be held legally responsible for any damage. However, if the attack takes place within the confines of private property, such as within an apartment complex, the owner of that property may also be held liable. To ensure your dog bite claim’s success, you should understand who may be liable. A dog’s owner has an obligation to keep her dog under control at all times. This means she’s also responsible for keeping that dog away from situations that may provoke him to attack. If an owner fails in her duty, she’s subject to civil liability for any damages that result from the dog’s actions. The extent of damages can include injuries, medical exam costs, and property destruction sustained while on public property or while lawfully in or on private property. When an owner fails to keep her pet under control, she’s financially responsible for all damages caused by the dog’s actions. This holds true regardless of the owner’s knowledge of the dog’s temperament or propensity to lash out. 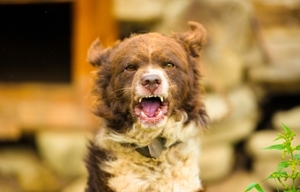 In situations where a dog attack takes place on private property, the dog’s owner will be held accountable, but the owner of the property may also be subject to blame for allowing the dangerous creature to roam. Had knowledge of the dog’s violent temperament but chose to lease to the owner despite the risks. If the landlord had previous knowledge that the dog was dangerous and negligently failed to address the situation, he could be held partially liable for any damages. Had intimate knowledge or control of the dog’s actions prior to or during the attack. If the landlord contractually agreed to take care of, harbor, kennel, or maintain control over the animal at any time, he may be open to liability charges. If he was taking care of the dog at the time of the attack, the responsibility of control transfers from the owner to the landlord. Furthermore, if the landlord had intimate knowledge of the dog’s personality, he should have been able to recognize the potential dangers and addressed them before an incident occurred. Had the legal power to evict the dog or his owner. If the landlord had the opportunity to request the removal of the tenant’s dog but failed to do so before an attack, he can be held partially accountable for negligence. Removal opportunity can be legally justified through eviction or as a consequence for violation of aggressive dog rules in the lease agreement. If you believe that your dog bite injuries were caused as a direct result of owner and landlord negligence, contact our office today at 615-807-7900. We’ll be happy to schedule your FREE one-on-one consultation with attorney John L. Griffith so you can better understand your rights and legal options. Contact us today and see how we can help you get the injury compensation you need. Need more information right now? Feel free to download our complimentary guide to personal injury claims, “The 10 Worst Mistakes You Can Make With Your Tennessee Injury Case,” to learn more. How long will my dog bite case take to settle? Ironically, the number one question our clients ask us is the one question we can’t definitively answer—“How long will it take for my claim to be settled?” Although this question is important, it isn’t easy to answer. When it comes to personal injury claims, whether a dog bite, a car accident, or a slip and fall case, the potential duration of the claims vary from client to client. Severity of your injuries. Depending on the extent of your injuries, an insurance company may choose to offer a settlement straight away. However, just because the offer is made, doesn’t mean you should accept. If your injuries are minor and you don’t want to drag out your claim, your attorney may advise you to consider a quick settlement. However, if your injuries are severe and extensive, your attorney should advise you to hold off on a settlement until your recovery is complete. Although the insurance company will try to settle early to avoid having to pay more for treatments, you deserve a settlement that will cover all of your expenses, not just the treatments up until the offer. Treatment requirements. The more extensive your injuries, the more treatment your injuries will require. It’s important to follow your doctor’s orders and receive all of the care you need to reach your maximum recovery. However, the more treatments you need, the more expensive your recovery becomes. As your recovery expenses increase, so will the time you and your lawyer will spend on a settlement agreement with the insurance company. Recovery time. As mentioned above, you shouldn't settle a case before finishing your treatment. In dog bite cases, it’s important to wait until your injuries have healed to discover the full extent of your scarring, and likewise how much compensation you deserve. Settlement options. The majority of dog bite cases are settled out of court and in a timely fashion. However, if the insurance company fails to negotiate a reasonable offer, you may have no other choice than to file a lawsuit. If you’re forced to go to trial, your claim may take anywhere from a few weeks to several months before a verdict is reached. No matter the severity of your injuries, your best option to secure an efficient and successful dog bite claim is to seek the professional guidance of an experienced dog bite attorney. While we’re on the subject of time, you need to know that your dog bite claim is subject to a statute of limitations. This means that you have a finite, or limited, amount of time to file a claim against the liable owners before your case becomes invalid. It’s especially important, as a Tennessean, that you know our state’s limitation laws, for they are drastically shorter than other state filing limits. When injured in the “volunteer state,” you have exactly one year from the date of the attack to file a claim. If you fail to file within this 365-day window, Tennessee courts will most likely refuse to hear your case. Therefore, you have no time to lose—Contact local Tennessee attorney, John L. Griffith, today to get your claim started. The faster you begin, the quicker you’ll receive your settlement. Call 615-807-7900 now, and see how we can help you secure your future. Did you find this article helpful? If so, let us know by “liking us” on Facebook and leaving a comment on our feed. We love to hear from our past, present, and potential clients and learn what we can do to improve your experience. When you and your family suffer a devastating truck collision, the first thing you need to worry about is getting the medical care you need. Once everyone’s injuries have been addressed, your next concern should focus on the cause of the accident. After a car accident, these questions can generally be answered one of two ways: You are at fault or the other driver is at fault. However, truck accidents aren’t necessarily that black and white. Driver. Truck drivers are responsible for following traffic laws, controlling their rigs, and maintaining a level of professionalism at all times. Unfortunately, they also have to worry about deadlines, impatient employers, and efficiency bonuses. As a result, it’s easy for a truck driver to choose speed over caution and reckless behavior over safety. When a driver dismisses protocol and disregards traffic safety, he may be liable for any damages that result from his actions. Trucking company. A trucking company may be held liable for a collision if it placed unrealistic expectations on the driver. Federal laws mandate when and how long a driver must rest between shifts. However, when an employer encourages a driver to push through his breaks to meet his deadline, he forces the trucker to drive negligently and places you at risk. Furthermore, a trucking company can be held responsible for hiring inexperienced or dangerous drivers and for failing to maintain trucks in their fleet. Cargo company. One of the most common causes of truck accidents is overloaded or poorly loaded cargo. When the cargo in the trailer is unbalanced, the entire truck becomes compromised. In addition to increasing the risk of rollovers and jackknives, unbalanced loads can greatly affect the driver’s ability to control the vehicle, no matter how skilled he is. In these situations, the driver can’t be held liable, as there was nothing he could do to prevent the accident. Truck manufacturers. Truck manufacturers have a duty to test components to ensure their safety. If a defective part directly results in the truck’s loss of control, liability can be passed to the manufacturer. Again, since the driver would have no knowledge of the defect, he can’t be blamed for losing control. 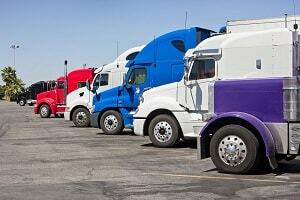 Need more information about your truck accident liability and claim options? Please feel free to download a complimentary copy of John L. Griffith’s free guide on Tennessee personal injury cases. You’ll not only learn more about your rights and claim options, but you’ll also get a better feel for how GriffithLaw can help you file a persuasive injury claim. When pursuing a truck accident claim, you’ll need as much help as you can get to ensure a strong and convincing claim. At Griffith Law, we’re here to give you the guidance you need to feel confident and prepared for your claim’s success. We know how frustrating and complicated accident injury claims can be, so let our experience and knowledge work for you. Contact us today at 615-807-7900 for a FREE consultation. What type of compensation is available for wrongful death claims in Tennessee? When a loved one suffers a fatal injury due to the negligence of another, it has a profound impact on your entire family. In addition to grief and loss, you may be burdened with the financial responsibilities of the deceased. In Tennessee, if a death is caused by an intentional, reckless, or negligent act, you may be eligible to pursue compensation through a wrongful death claim. A wrongful death claim requires proof that the deceased’s fatal injuries were directly caused by the negligence of another. When fault is established, the next of kin can pursue a suit to collect damages on behalf of the deceased. Medical expenses. You can claim compensation for any medical expenses accrued between the time of the accident and the resulting death. However, you must be able to prove that the accident directly caused the fatal injuries. Lost wages. You can claim compensation on behalf of the deceased for any lost wages the deceased was unable to collect between the time of the injury and his death. If an accident prevented your loved one from returning to work, whether he was hospitalized, bedridden, or disabled as a result of the accident, the liable party can be held responsible for the wages he was unable to earn. Funeral bills. 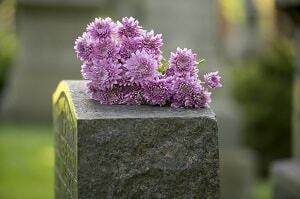 You can claim compensation for the cost of the funeral and burial. Funerals can easily cost thousands of dollars, and without compensation, you may have to dip into valuable savings accounts. Potential earnings. You can claim compensation based on the deceased’s earning potential. In other words, if your loved one had not been killed in an accident, his life expectancy would have been somewhere around 75 years. In that time, he would have had the potential to make money and contribute to your family’s finances. Since the opportunity to contribute was taken from him, you have the opportunity to take it back by pursuing compensation from the liable party. Loss of consortium. You can claim compensation based on the loss a fatal accident causes you and your family. Although difficult to put a price on, factors that are considered for compensation value include loss of love, companionship, social interactions, and relationships. For example, if a wife and mother is killed in a car crash, the father could pursue a wrongful death claim against the at-fault driver. In addition to medical expenses, funeral costs, and lost wages, this claim can also include damages for the personal loss of his wife as well as the children’s loss of their mother. In essence, the at-fault driver will be held accountable for robbing the husband of his relationship with his wife, and robbing the children of their mother. Again, putting a price tag on this can be difficult, but with the help of an experienced attorney, you’ll have the chance to recover at least some financial comfort. For more information about pursuing a wrongful death claim, feel free to browse our site and learn how our vast experience and knowledge can help you get the settlement you deserve. Need a more one-on-one approach? Contact our office directly at 877-959-8847 to speak with attorney John L. Griffith about how to begin your claim. The loss of a loved one is never easy, especially when financial hardships begin to stack up. Let us be the helping hand you need to overcome your grief and secure your financial future. Call now!